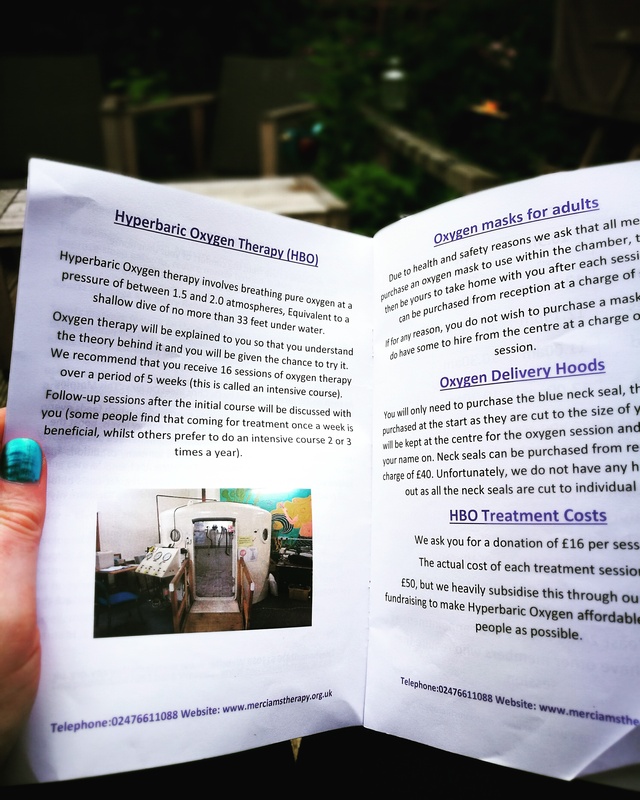 Hyperbaric Oxygen Therapy – Living life the MegaSpecial way! Hi, I hope you saw the reply I sent you hun? Hey lovely, I hope this message finds you well? I was really nervous for exactly the same reasons as you. I didn’t feel claustrophobic until the mask was on & the oxygen started. The two other people said the same as me, because you can hear yourself breathing it then makes you pay more attention to breathing, sounds odd I know! I think if I can gather enough funds for it I’d really like to try the intensive course, the difference I felt after 20 minutes of oxygen was definitely noticeable! I’m just in the process of setting up a Go fund me page! I feel really cheeky to do it but I honestly have no other way of raising the funds!